The use of metalloenzymes or synthetic inorganic complexes as catalysts in fuels cells or photoelectrochemical cells may open key routes in energy production and in industrial synthesis. However, the intrinsic fragility and oxygen sensitivity of these catalysts has been an obstacle. Hydrogenases, the very efficient but very fragile biological catalysts of H2 oxidation, could be protected from O2 damage upon integration into a specifically designed redox hydrogel, which reduces oxygen at the polymer surface and thus provides self-activated protection from oxygen [Plumeré et al, Nature Chemistry, 2014]. We could also rationalise the protection mechanism and optimise the design of the catalyst-polymer films [Fourmond et al, J. Am. Chem Soc., 2015]. 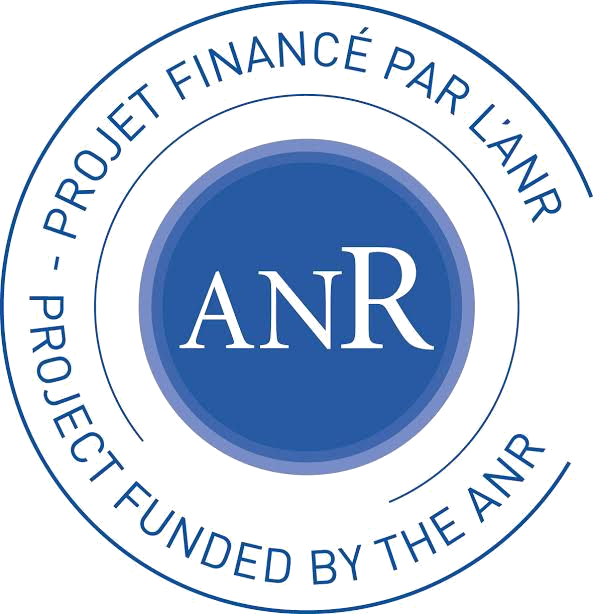 These results have set the stage for the full investigation that is the goal of this ANR/DFG project. A scheme of the hydrogel film attached to an electrode, and used to immobilise a hydrogenase enzyme. Hydrogen diffuses from the solution, is oxidised by the enzyme which transfers electrons to the redox moieties (viologen) of the polymer. Electron hopping behaves like a diffusion process. Oxygen may diffuse in the film and inactivate the enzyme molecules in an outer layer, but the oxidation of the viologen results in catalytic hydrogen oxidation, and production of reduced viologen moieties that can prevent O2 from diffusing further in the film. We shall examine a variety of configurations (oxidative or reductive catalysis in thick or thin films), using enzymes such as hydrogenases and CO dehydrogenases as models of fragile catalysts. The enzymes have been selected because they exhibit various properties (reversible or irreversible catalysis, reversible or irreversible inhibition by O2, rates of inactivation and reactivation that can be tuned by protein engineering). Each of these enzymes catalyses, at rates in excess of thousands per seconds, a reaction that is important in the context of energy and environment (oxidation and production of H2, reduction of CO2). Understanding how the hydrogel protects the catalysts requires that the kinetic and geometrical properties of the film be determined, and used in realistic mathematical models that take into account the various chemical reactions and diffusion processes occurring in the depth of the film; the models should then be validated by experimental measurements of how the presence of O2 affects the catalytic current, before the knowledge that has been acquired is used to guide the new design of the film (hydrophobicity of the polymer backbone, redox potential of the redox moieties, thickness, load, etc.). Our ultimate goal is to fully understand the function of these complex systems where the catalysts is embedded into a protective redox-active hydrogel, to understand the factors governing current density and protection, and become able to rationally design robust catalytic electrodes for actual applications using metalloenzymes or any other efficient but fragile catalyst.